The lecture will take place in the CBBM Building, Ground Floor, Room 50/51. Please see the CBBM website for more information on this lecture. 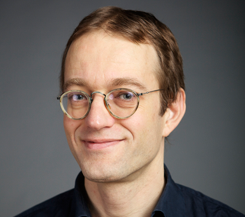 Pieter Jelle current holds appointments at both Maastricht University Medical Centre / School for Mental Health and Neuroscience (MHeNS) and VU University Medical Centre, Netherlands, and is a long standing collaborator of LIGA. Among other projects, we work together in the “European Medical Information Framework – Alzheimer’s disease” [EMIF-AD]” of which he is the P.I. Pieter Jelle received his MD from University of Utrecht and his PhD from University of Masstricht. From 2000 and 2006 he completed the postdoctoral training program in Epidemiology with the Dutch Soceity for Medical Biological Research. Since 2016 he is Associate Professor in the Department of Psychiatry and Neuropsychology at the Maastricht University Medical Centre. His research interests lie in the early diagnosis and treatment of Alzheimer’s disease.